There are signs that indicate it may be time to split your clients’ perennials. For example, if an established perennial produces fewer flowers or the center of the plant looks sickly while the margins thrive, it could be time to divide the plant and replant it in another bed or in a container. The best time to split plants depends on region. In cold regions, early spring is the best time. The divided plants will have more time to become established before winter. In warmer climates, exposure to hot temperatures can damage divided plants, so fall is a better time to divide because it allows them to become established during the mild winter. If possible, divide perennials before cool, rainy weather is forecasted. These conditions will help the plants recover from the stress of being split and replanted. If the ground is dry when you plan to divide the plant, prepare the area by thoroughly soaking the soil around the plant. Let it drain while you gather the necessary tools: a shovel, a garden fork, pruners and a sharp knife. Trim the plant’s leaves or stems so they measure 6-8 inches high to make handling the plant easier. Note that some plants are best left undivided. These include monkshood, false indigo, bleeding heart, lupine, peony and poppy. 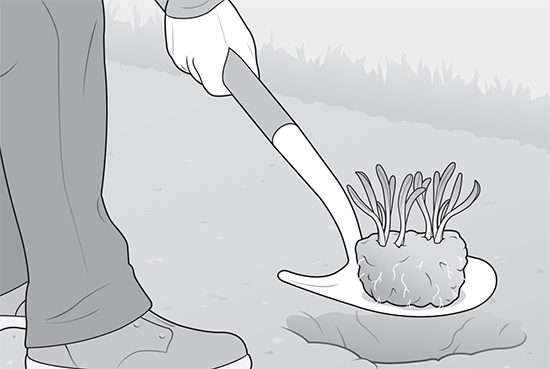 Follow these three steps to properly split a perennial. Dig up the entire plant. Place the plant on a tarp in a shady spot and observe the roots. Some perennials have roots that separate easily, while others are tangled and more difficult. 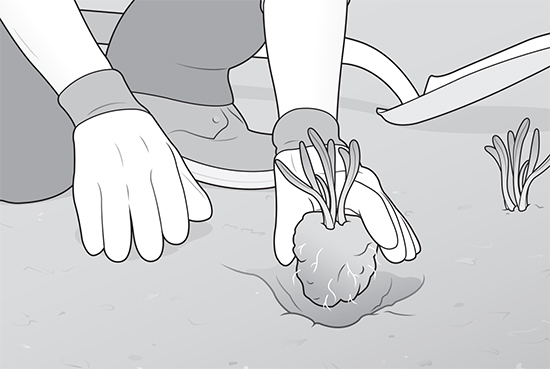 Some have fleshy roots that will need to be sliced into sections. 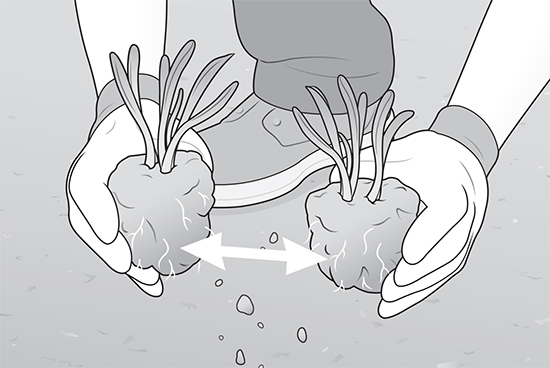 Carefully split the plant based on the root type. Prune away any dead and damaged tissue, and ensure each divided section has a portion of its roots and leaves. Replant the divisions as soon as possible, water them and keep them well hydrated throughout their first year. To download a PDF of this Step by Step, click here. 1 Comment on "Step by Step: Properly split perennials"